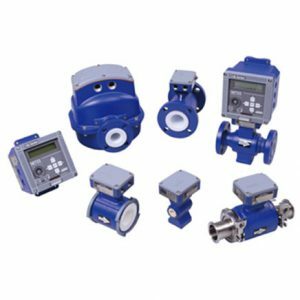 These pfa, ptfe, and polyurethane-lined compact, flanged magnetic flowtubes, together with an IMT25 or IMT25L Magnetic Flow Transmitter combine to form an easy-to-use versatile, dc pulsed Magnetic Flowmeter. The flowmeter measures electrically conductive liquids and produces a measurement signal directly proportional to volumetric flow rate. As symbolized by the CE logo marking on the product, the flowtube conforms to the applicable European Union directives.